In developing parts of the world where access to energy is scarce and spotty, finding reliable transportation can be a heck of a problem. 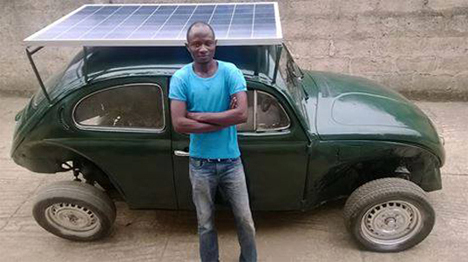 Nigerian student Segun Oyeyiola did’t let anything hold him back – he just went for his dream by retrofitting a classic Volkswagen Beetle to run on solar and wind power. He did it all for around $6,000. 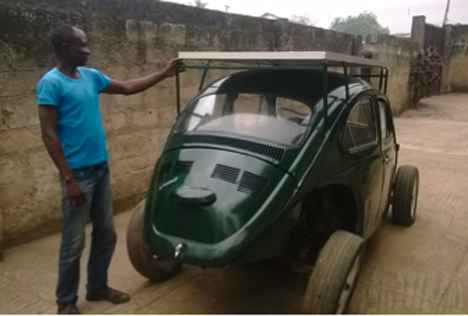 Oyeyiola relied mostly on donated and salvaged materials to make his awesome converted car. 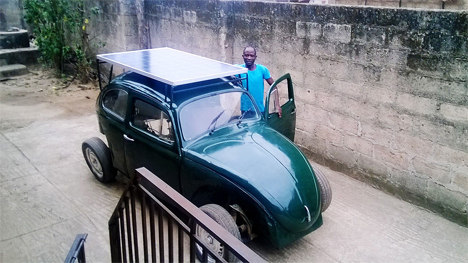 The added weight of the huge solar panel on top of the car necessitated a reinforced suspension. Once the car is moving along, a wind turbine under the hood harnesses the power of the moving air to generate even more energy to keep the little Bug going. His motivation for the project was admirably altruistic: he wanted to do his small part to reduce carbon emissions. 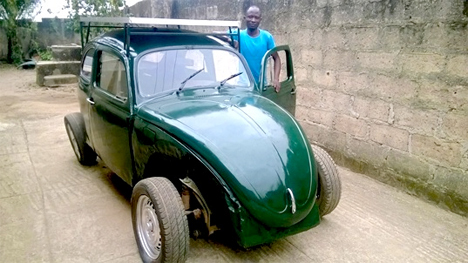 Although he doesn’t harbor any delusions that his one little car will change the world, he does hope that it inspires others to pay more attention to the impact they are having on the environment. The modified car’s battery takes about four to five hours to charge, making it far from handy if you need to take long road trips or have to run out to the market quickly. But this young man has taken a fantastic leading step in showing that everyone – even in remote locations like Nigeria – can make a difference with some effort and dedication. See more in Mods & Custom or under Transportation. June, 2014.